editor's note: This post first appeared in the Red Sox Nation - Alberta blog, before amalgamating it's contents here. Came across something I thought I should share with my readers, and I wasn't sure whether to post it here or on my Baseball in Alberta blog. This blog has stories that are of interest to Red Sox fans. It's slightly geared towards Albertans or Canadians, but is also of interest to fans from elsewhere, whether it's Boston or Bangladesh. Red Sox Nation knows no borders. 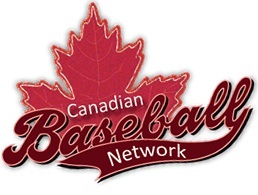 The Baseball in Alberta blog has stories of interest to baseball fans in Alberta. Whether it's about a local team or academy or tournaments or camps or tryouts, or players who have moved on and are enjoying success elsewhere, or famous players who are in the province for whatever reason, the common theme is that it's about baseball and is of particular interest to Albertans. This story isn't about anything to do with the Red Sox. Or Alberta. So I'm posting it in both places to try and reach a wider audience.